G’day Ching Chong is a sound piece exploring the Australian identity through young ethnically Chinese people who now live in Beijing, China. Making a move from their diverse Australian environments to a city of more than 22 million where they can be easily mistaken as a local, they’ve come to discover that what they look on the outside doesn’t necessarily reflect what they feel inside. 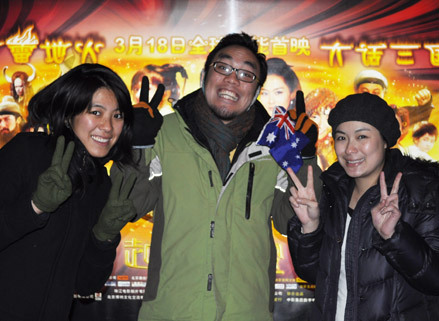 Shuk-Wah Chung is an Australian freelance radio/print journalist currently living in Beijing, China. Her stories have been broadcast/published in The Age newspaper, Australia; Asia Calling radio, Indonesia; Free Speech Radio News, USA; and other local and international publications/stations. Her media career has been diverse, having worked as a technical operator/producer for the Australian community radio network; an audio/radio trainer for migrant communities in Australia; and project manager for a youth radio broadcast. In 2009 she was one of five journalists selected to cover the 6th UNESCO Youth Forum in Paris, France. Since moving to China she has covered issues like internet censorship; environmental movements; and stories reflecting present and future trends in the world’s largest growing economy. She is currently working on a “rock-umentary” about a glam/punk/rock Beijing band made up of three boys who redefine the thoughts, feelings and ambitions of a new generation of Chinese youth.